If you have a loved one with dementia, severe pain, or some other chronic illness, you may feel like there’s nothing you can do to help them feel better. But new science reveals there’s something we can all do to help them through these illnesses. For years, the medical profession has found an interesting phenomenon when a nurse sits and holds a patient’s hand. Or when someone rests their hand on the arm of a friend with dementia. They saw that the patient seemed calmer and less agitated. Or they may even say that they feel less pain. Of course, most medical professionals are science-based, so they considered this just an example of the placebo effect. Or maybe just wishful thinking. Very few thought it might be a genuine phenomenon. In fact, many would argue that it’s just a comforting touch. However, many people argue that there’s more to it. Different cultures have used various healing touch therapies for hundreds of years to help people heal both physically and emotionally. However, researchers haven’t studied the long-term effects of touch therapies in clinical trials. So there was no science to convince the professionals. Two psychiatrists from Southern California, Drs. Shamini Jain and Paul Mills, recently reviewed the science behind a number of bio-field therapies. These are therapies that claim to use subtle, invisible energy to stimulate the body’s natural healing process. They include Reiki, therapeutic touch, Jin Shin Jitsu, and healing touch. In many of these therapies, all the practitioner does is touch the patient, either on specific or non-specific parts of the body. They don’t necessarily “do” or “think” anything. Sounds like a bunch of hooey, but what does science say? When Drs. 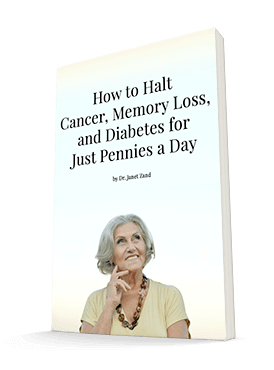 Jain and Mills examined 66 clinical studies, they found the beneficial results varied from strong to inconclusive. There was strong to moderate evidence that bio-field therapies reduced pain in people both in the hospital and living at home. This included cancer patients. There was moderate evidence that bio-field therapies calmed down people with dementia. They also found that they reduced anxiety in hospitalized patients. The touch therapies did not help other conditions, such as anxiety in people with heart disease, or quality of life in cancer patients. At least not in these studies. Much more research is needed on this subject. There’s obviously something to therapeutic touch. The future looks promising. Bio-field therapies could be part of a person’s healing at a cost far lower than medications. And they can be done by health professionals, family members, or friends. Jain S & Mills PJ (2009). Bio-field therapies: helpful or full of hype? A best-evidence synthesis. International Journal of Behavioral Medicine; DOI 10.1007/s12529-009-9062-4.